The Latino-American population has $1.3 trillion in consumer spending power. What are you doing to market to them? Plan providers should have a communication style and tone that will resonate with Latino-American participants. Today’s diverse population underscores the importance of personalized, relevant retirement plan communication and education for employers and their unique workforces. Taking a holistic view of an employee base and uncovering how different demographics influence the retirement planning process can help plan sponsors connect with savers in meaningful ways, and motivate these populations to take actions that can help lead to better retirement outcomes. 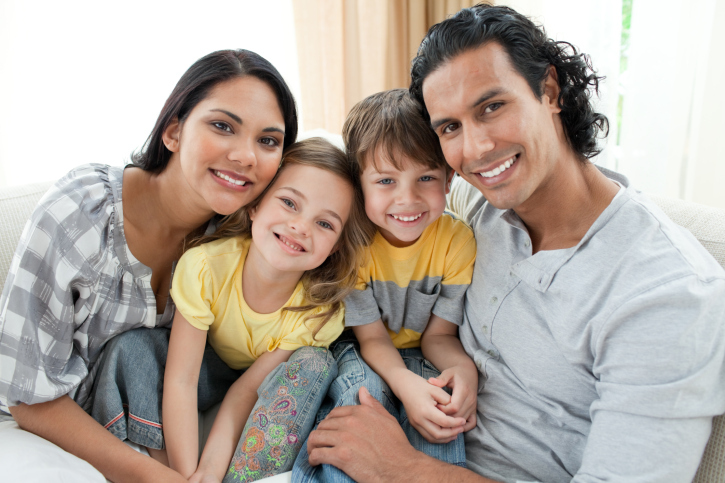 One important and growing population among today’s savers is Latino-Americans. Between now and 2020, this population is expected to expand to 66.3 million and account for 53 percent of population growth in America. During this time, Latino-American buying power, currently at 1.3 trillion annually, is expected to triple. To help Latino-Americans achieve retirement readiness, plan sponsors must first understand the identity of this diverse population, including their attitudes toward retirement, family and the future, and what these factors may reveal about opportunities to increase their retirement plan engagement. A recent Lincoln Financial Group study of Latino-American plan participants offers insights on how Latino-Americans take action and engage in their employer-sponsored retirement plans. The study provides a deeper look at Latino-American attitudes toward retirement and saving, and what these factors reveal about their retirement plan engagement. The Latino-American population is tremendously diverse and can vary by birthplace (within or outside of the U. S.) years spent in the U.S. and acculturation level, among other factors. Variations among this demographic can impact plan structure and implementation. Language and generational attributes are a key part of the Latino-American story. While more than half (59 percent) of Latino-American plan participants indicate they speak Spanish regularly, approximately 76 percent were born in the United States. Generation X and millennials make up 75 percent of Latino-Americans and Mexican-Americans form the largest subgroup. Despite differences in age, ethnicity and birthplace, Latino-Americans embrace a common identity based on shared values that can inform the ways plan sponsors communicate about saving for retirement. Foundational values include family, heritage, responsibility and authenticity; and emerging values include freedom, simplicity, self-actualization and confidence, among others. Embracing these values and the diversity among Latino-American plan participants is critical for organizations as they establish trust among this thriving population. As plan sponsors structure retirement plan programs for a diverse workforce, they should evaluate and take steps to ensure their plan various demographic groups — including Latino-Americans. After all, retirement plans are not one size fits all. Considering employees’ individual savings mindsets and behaviors, especially as they relate to savings patterns and ethnic background, is critical for a successful retirement plan program. Latino-Americans are not a monolithic group. Engaging these employees in a sincere, ongoing discussion of their needs will help build trust and contribute to the success of plan engagement efforts. Country of origin, gender and generation are all important characteristics that can impact the retirement savings behaviors, attitudes and decision-making styles of a plan participant. Looking more closely at employee demographics like these can help plan sponsors better understand their Latino-American employee population and use these insights to incorporate cultural undertones in messaging, provide relevant hypothetical examples and be mindful of using imagery that represents the broad diversity of Latino-Americans. Data shows that many Latino-American plan participants report a more optimistic view of their retirement readiness and ability to face financial challenges, despite savings rates that appear to mirror the general population. This marked optimism may stem from a vision of sharing resources and responsibilities in retirement with their closely woven family unit. Offering materials, seminars and one-on-one support on topics such as income needs in retirement, saving to leave a financial legacy, and balancing short-term and long-term savings goals are strong tools to help this dynamic population take charge of their retirement savings, remain optimistic and envision their future contributions to the family’s well-being. Research shows that 47 percent of Latino American savers believe that in-person meetings with a financial professional, either one-on-one or in a group, will motivate them to take action in their retirement plan. An in-person meeting with a financial professional may also help Latino-Americans better understand their investment options and diversify their portfolio in ways that can help them achieve savings goals. Plan sponsors should make personalized communication a central aspect of their outreach to build trust and produce the best outcomes. Half of Latino-Americans surveyed say they would also value plan-related seminars where they could bring family members. Consider how to include family members in the retirement conversation through conveniently timed information sessions, appropriately messaged take-home materials, and tailored communication and education for the heritage, age, career stage and education level of the plan participant population. Offering Spanish-language materials and Spanish-speaking financial professionals can acknowledge and respect Latino-American employees who have a preference for Spanish language options. It’s important to keep in mind that Spanish-language materials, when implemented poorly, carry the risk of damaging the trust and respect between employer and employee. Spanish language materials should not simply be translated from English communications. Plan sponsors and providers should focus on the “transcreation” of resources to embed a style, tone and context that will resonate with Latino-American participants beyond the language of choice. Latino-Americans also seek the same quality, range of topics and relevance in their materials as other employees. Research shows that 74 percent of Latino American plan participants indicate that it’s most important for products they purchase to clearly demonstrate the value they provide, not just the cultural relevance. Delivering quality education with relevant cultural considerations is key to maximizing the impact of a plan sponsor’s retirement plan program. Using these insights, and recognizing and incorporating diverse perspectives is critical to helping plan sponsors align with employees’ needs and take meaningful steps to enrich current and future programs to help boost Latino-Americans’ retirement readiness. What’s needed to capture today’s consumer?